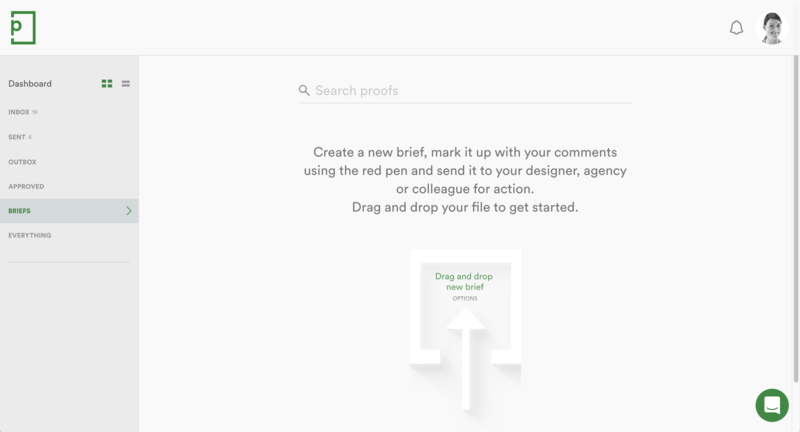 If you are on our Teams plan (with the briefing module added as an extra) or Enterprise plan, you are able to create briefs in PageProof. 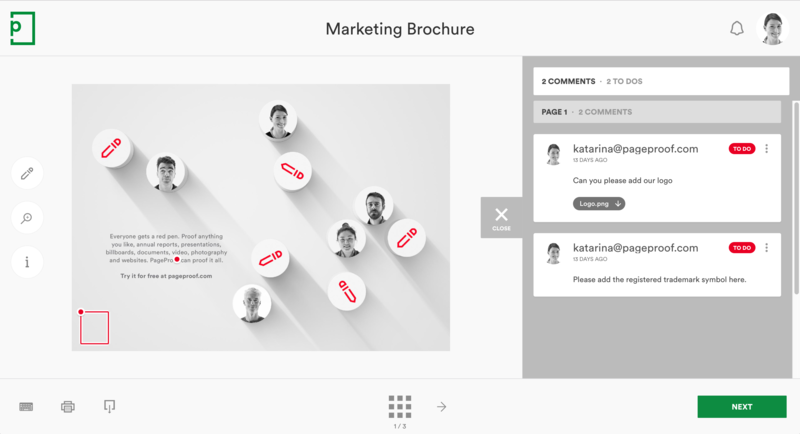 With the briefing module, your team will be able to upload a single file, mark it up with the changes they require to be made, then send this brief to a colleague, internal designer or agency. On the dashboard, go to the briefs area and drag and drop your file onto the file dropper icon. After the file has been processed, use the red pen tool to add comments detailing the changes on your brief and click next. 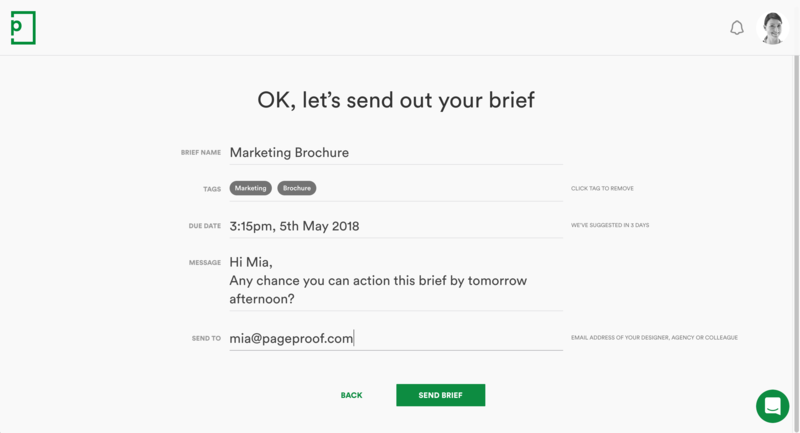 Check the brief name, add a due date, message, then enter the email address of the person you’d like to send the brief to.  Click send.